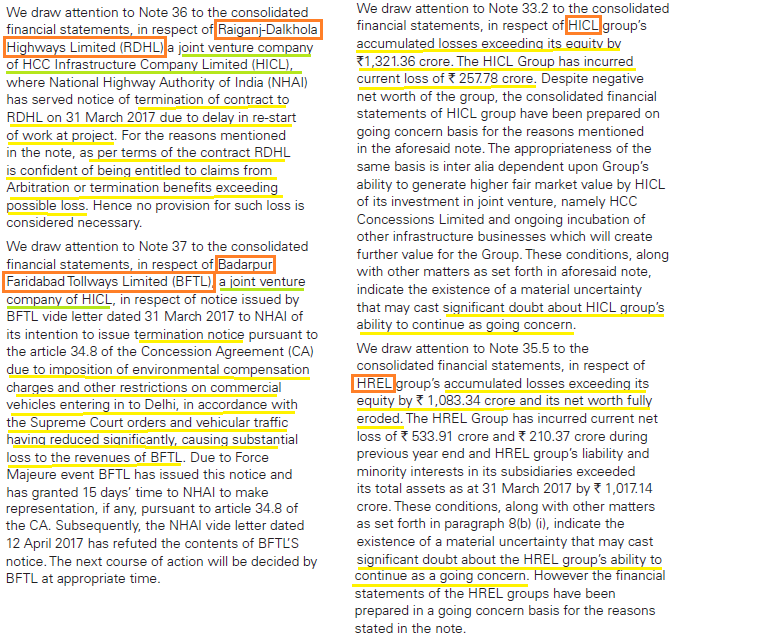 HCC - Infra giant with massive turnaround story! Nuclear projects-HCC has built over 65% of India’s nuclear power generation capacity. This is reasonable considering the complex nature of the projects handling by the company and seasonal variation of the business, as mentioned by management on being called. You get a debt free company! period! A total of 800percent increase in earnings over time just due to reduction of finance cost which is visible…! 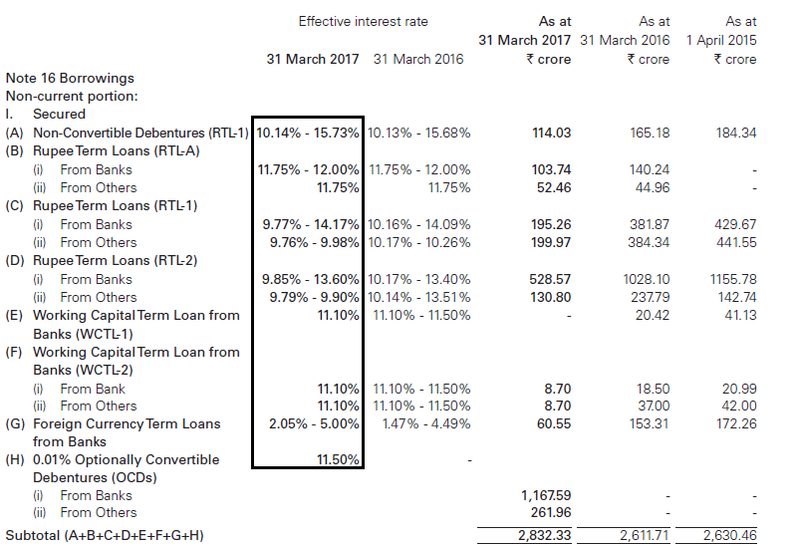 BUT EBITF ( revenue-(expense-finance cost)) is down 3% yoy mainly because of increase in subcontracting expense…So organic growth is not magnificent! 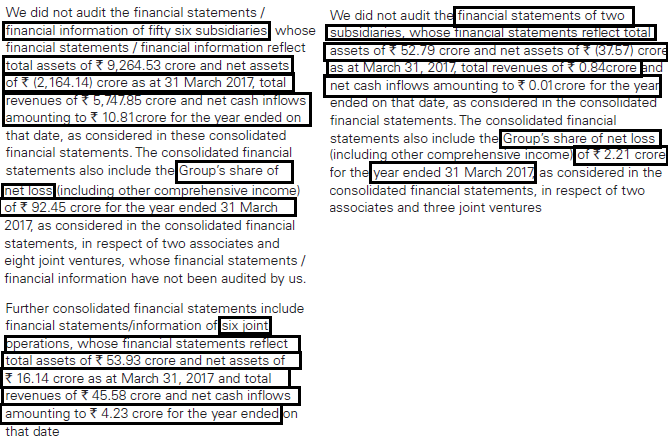 For companies like HCC looking yoy/qoq financials has little relevance. These are lag indicators. They have long period contracts and so P&L from a project is spreaded over multiple years. Backlog and new awards are key forward looking indicators to watch for these kind of companies. 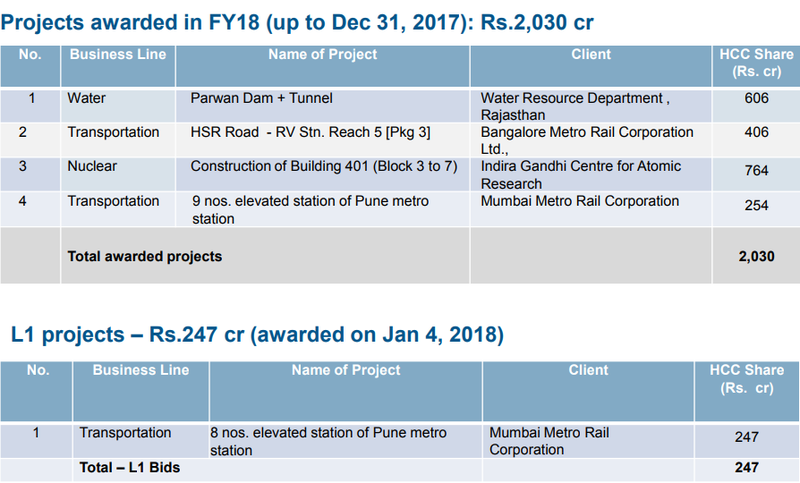 HCC has sizable backlog and is a reputational construction player so there is a decent probability of HCC getting good awards as infra spends increases. Deleveraging - this is the main thing to look out for in this stock. Yes, if they can deleverage their BS w/o sale of core operating assets, stock can explode. But million $ ? is, can they? 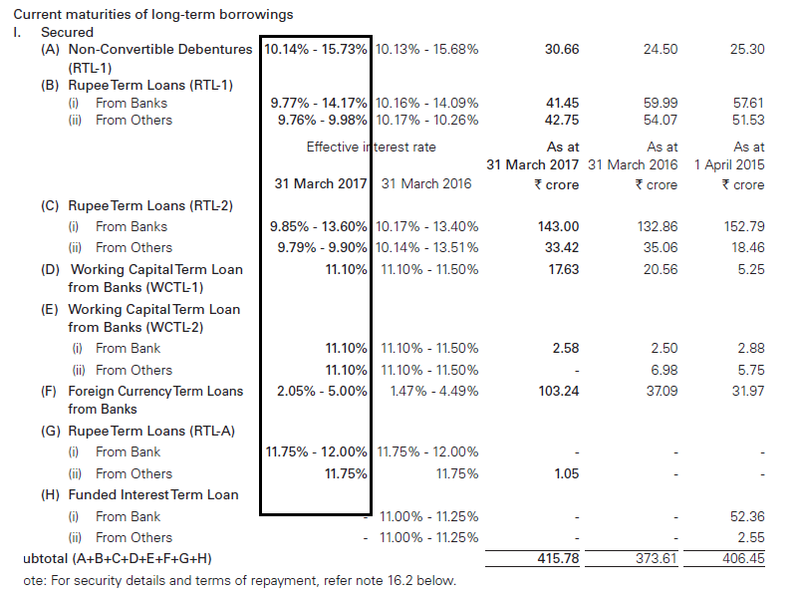 They have been successful to an extent in deleveraging with the recent arbitrage awards but I would like clarity/a roadmap for bringing down debt to reasonable levels/become debt free before diving in. Do we have anything from management here? Disc - Not invested, considering to buy. It has a reserve of (-) 475 Cr as on 31 3 2017 - as per ratestar.in. 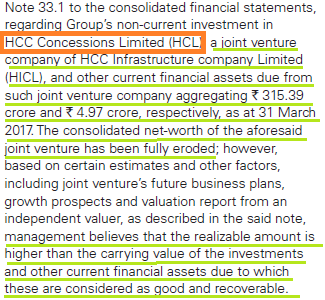 HCC is running huge losses on a consolidated basis for the last many years. 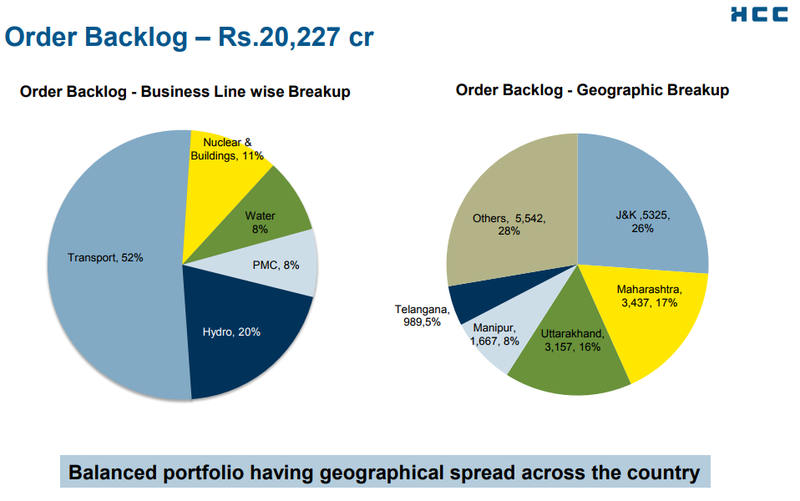 A consolidated turnover of Rs 10,000 cr means that a 20,000cr orderbook doesn’t really look that attractive. 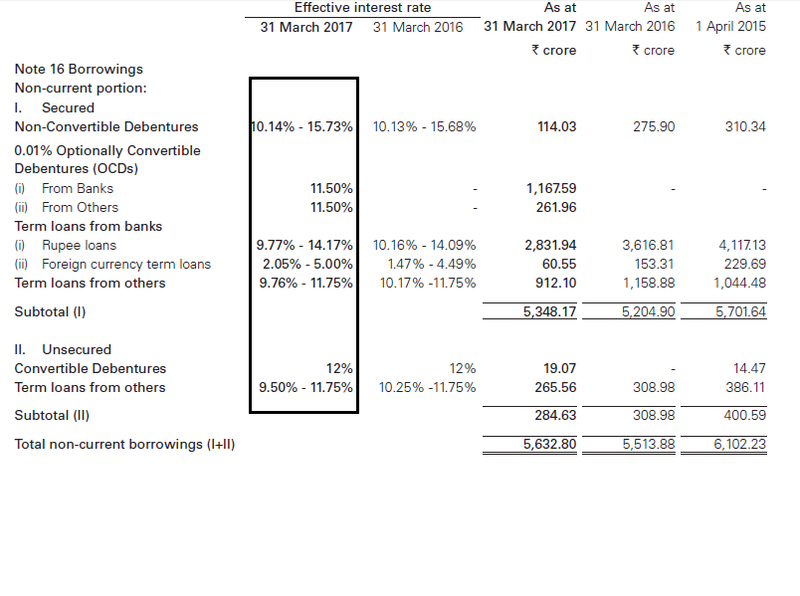 Also debt at the consolidated level is around Rs9,000cr which is much higher than Rs3,800cr you have mentioned. A negative book value tops it up. And promoters have pledged 85% of their holdings. 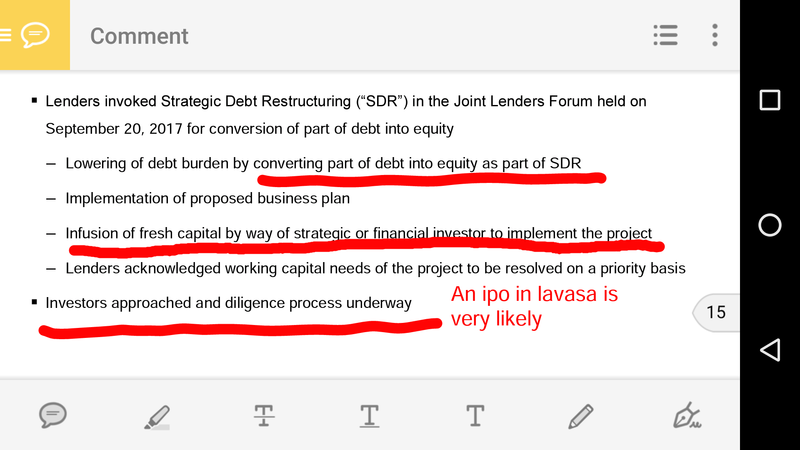 LAVASA SDR …A Game Changer within a Turnaround ! 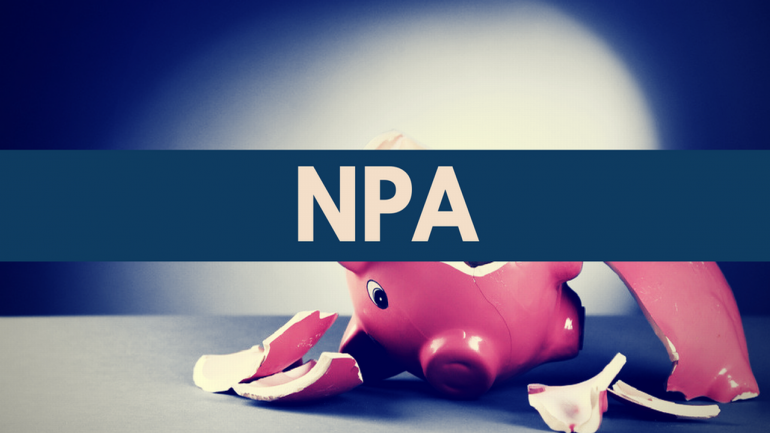 According to financial information available on Lavasa Corporation’s website, the company reported a loss of Rs 166 crore for the year-ended March 31, 2017, as compared with a profit of Rs 269 crore in the previous year. 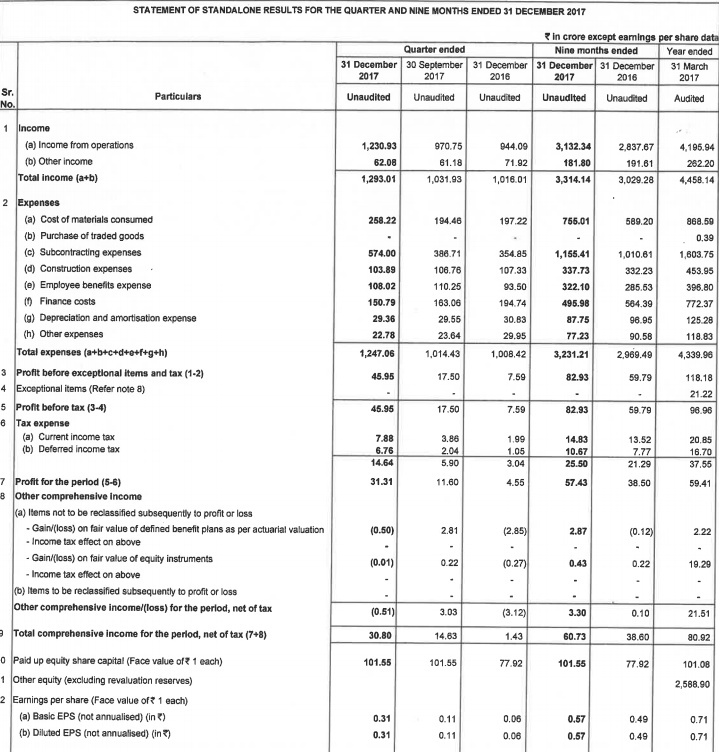 Total income fell 39 percent to Rs 609.5 crore year-on-year. 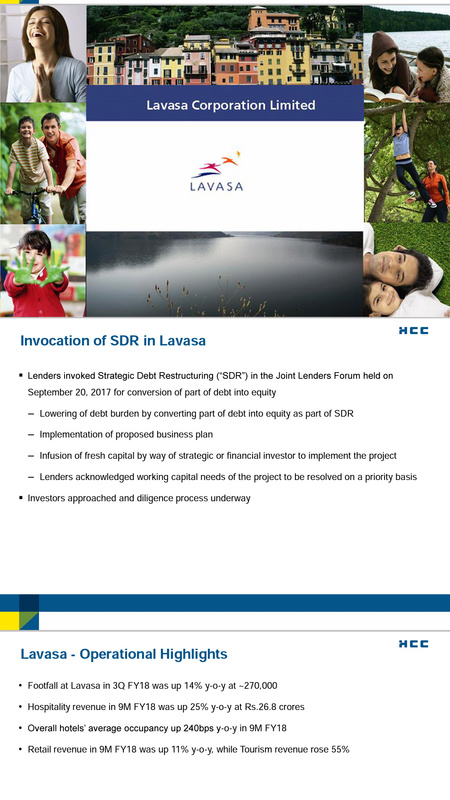 HCC has been attempting an initial public offering of Lavasa Corporation since November 2010, but has been unsuccessful so far. Banks will have to provide at least 15 per cent of their residual loan to a company while converting debt to equity under the SDR norms, by the end of the 18-month period from the reference date. The Reserve Bank of India has revised the new stressed assets framework, asking banks to immediately identify defaults and make disclosures every Friday to the RBI credit registry from February 23. Now maybe the lenders shall call for an auction of lavasa! 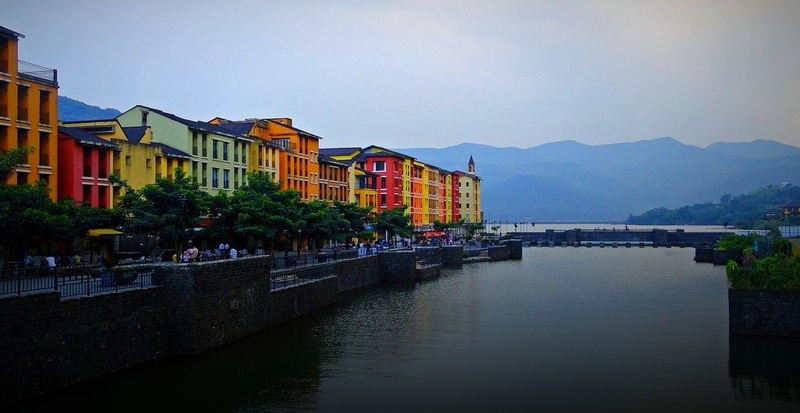 The only good spot in consolidated balace sheet is gone now, lavasa will still be a dead weight! HCC price action in a decisive point but looks like the bears are winning!! 5.The monthly action is deep in the bearish territory below the 1/2 line of gann fan. Whats up in 2018-19, another W pattern, a double bottom or a cup handle and then again a huge cloud break out??? So in short term although the downtrend seems in tact, the reducing volumes show a contrast!.. HCC definitely seems to be on turnaround path. Will it regain its lost glory? It remains to be seen. However they have disappointed on execution front recently. With Order Book almost 5x of revenue, execution was expected to be faster, however with >25% of order book in J&K (where there is unrest) and slower then expected receipt of arbitral proceeds , execution has taken a hit. Of around Rs. 1400 cr received from Arbitral proceeds, only around Rs.600 cr has gone for debt reduction. Still debt reduction will continue (at a slower pace). Another positive is diversified nature of Order Book. Execution remains the key monitorable obviously. Exactly…promoter capabilities matter a lot. HCC had strong execution capabilites before they fell into debt trap. It seems like management is not much interested in getting out of it quickly. They don’t even do a conference call. 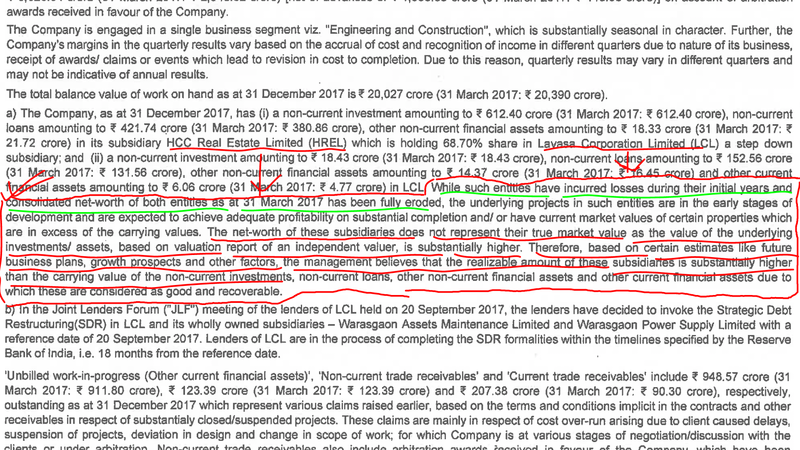 Without Lavasa, HCC would have defnitiely gotten valuation that L&T enjoys. All the profits that are generated vanishes because of that. 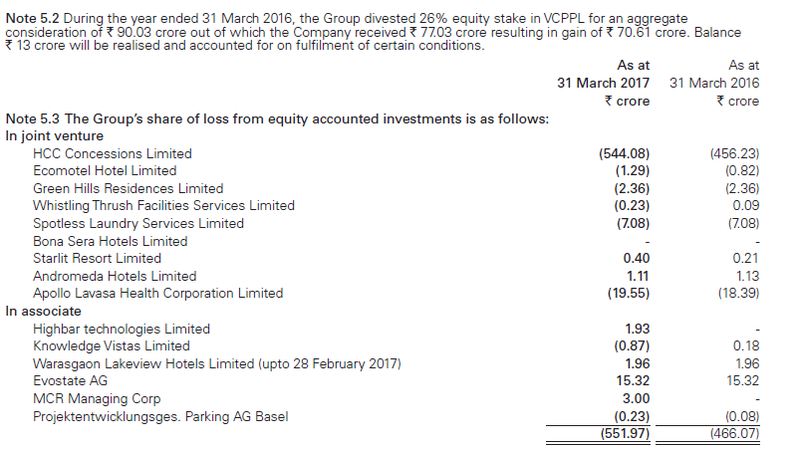 Even on consolidated level, they will be profitable becasue Steiner is doing exceptionally well. With the current downtrend in HCC, one of the most amongst the derivatives space, what I am seeing is that markets have already eroded those 800cr that will be lost in Lavasa (42 to 34). 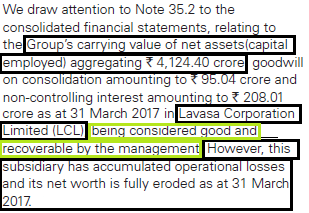 Markets seems to have priced Lavassa NCLT. Maybe we might find a bottom 10%-15% from here (@ 10k nifty). 50 price seems difficult to achieve now. Unless and until some exceptional thing happens, HCC will remain rangebound from 32 to 38. What remains thoughful is when they have strong market reputation, they are losing in this golden period of infrastructure boom. Look at KNR, IRB, Dilip Buildcon and Ashoka Buildcon. Even Reliance Infra is doing well now. Subcontracting is done by everyone @capsule91. These are non-contract workers, so the employee costs are less. What increases HCC’s subcontracting costs is that they operate in difficult geographies and tougher environments. Very few companies operate in J&K and NE e.g.